Online DTP.com - ... and more! 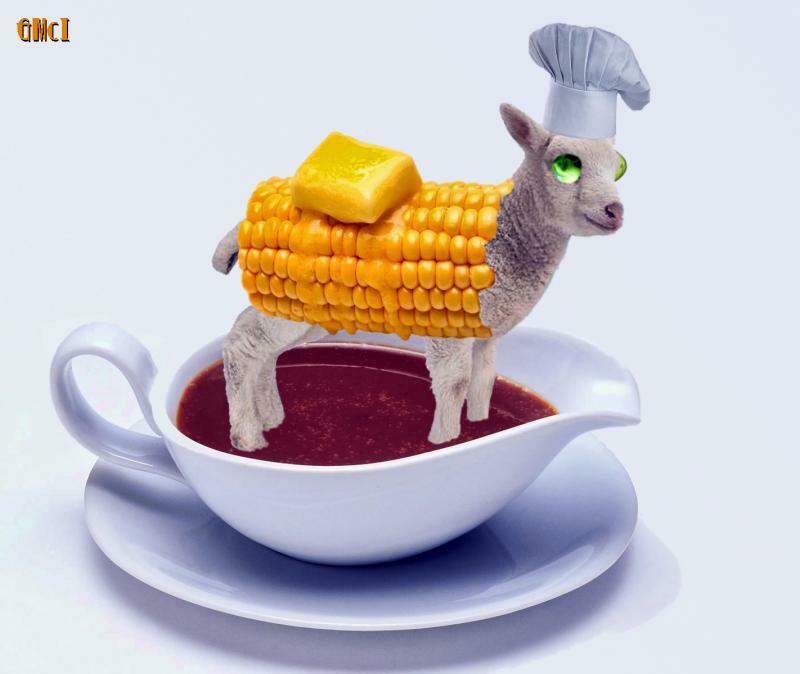 Yes, we KNOW it's Corny! 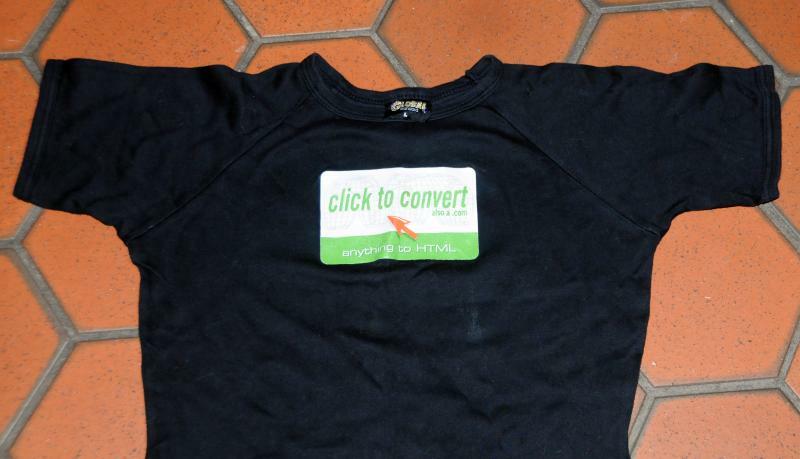 Part of the "uniform" worn by booth staff at trade-shows where we exhibited the Click-to-Convert software. 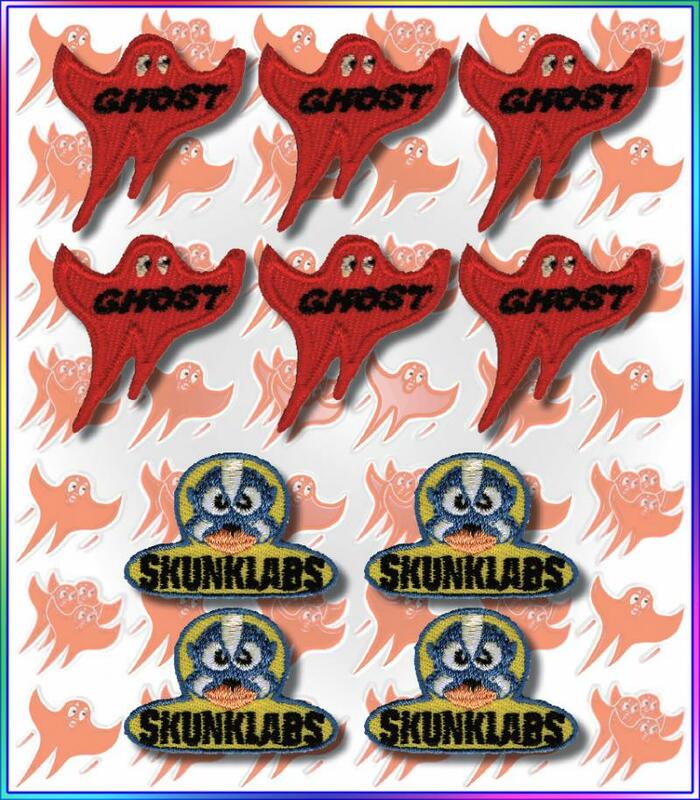 We had THOUSANDS of these wee (about an inch tall) "Ghosties" and "Skunkies" produced. Like sticky-labels, you just peel them off their backing sheet and press onto clothing, suitcases, computers, you name it! Every person who ever visited our booths at multiple Computer Shows/Expos would walk away proudly advertising our wares! "You've been Skunked/Ghosted! ", was the cry!